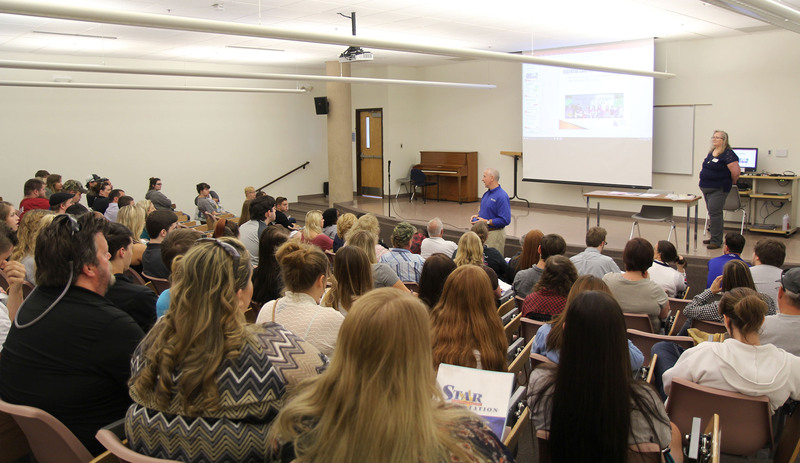 First-time freshmen or transfer students with less than 10 credit hours may choose from several dates to attend Missouri State University-West Plains’ STudent Advising and Registration (STAR) Orientation sessions for the 2019 spring semester. Spaces are available for sessions on Nov. 30, Dec. 7 and Jan. 7, 2019, according to Cindy Bridges, coordinator of student academic advisement at the Advisement and Academic Coaching Center for Empowering Student Success (AACCESS), which hosts the events. Space is limited for each STAR session, so students are encouraged to register early for their preferred session, Bridges stressed. “In short, they will be totally prepared for the first day of classes on Jan. 14, 2019,” Bridges said. She also pointed out a separate program is available for parents, spouses and friends of the students to attend. “They will hear from a number of university administrators and staff members who will present information about the campus, explain important topics such as academic degree programs, financial aid, etc., and provide insightful tips about how they can help their student achieve academic success,” Bridges said. Before attending an orientation, students must be admitted to the university and complete required ACT or Accuplacer placement testing. Additional testing may be required for placement purposes depending upon ACT scores. For information about the admissions process, call the Missouri State-West Plains admissions office at 417-255-7955. For more information about required testing, contact the university’s Testing Center at 417-255-7943. For more information about the STAR Orientation sessions and how to register for an orientation session, contact AACCESS at 417-255-7222. All university offices can be contacted toll free by calling 1-888-466-7897.